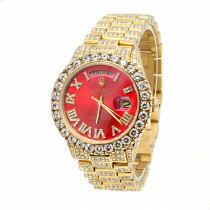 Ladies & Mens Diamond Watches: diamond bezel watches, iced out watches and others at 50%-80% Off! 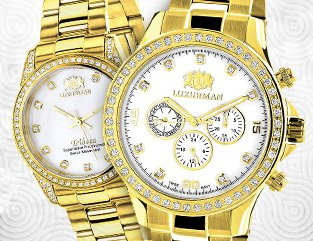 Ladies and Mens Diamond watches up to 80% off! 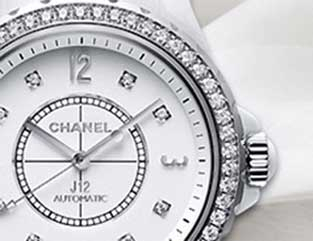 Add elegant, contemporary style to any look with our men's diamond watches and ladies diamond watches. 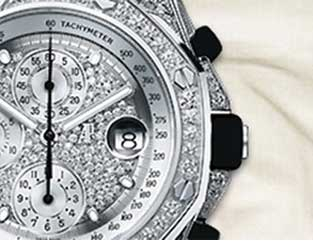 The ultimate in luxury, a diamond watch is sure to stand out from any other wrist watch. We offer diamond wrist watches for any budget from high end diamond watches at over $20,000 to very affordable but still top quality diamond watches for under $500 allowing anyone to own a real diamond watch. Our collection of diamond watches includes diamond bezel watches, diamond heart watches, floating diamond watches, fully iced out watches and other popular designs. 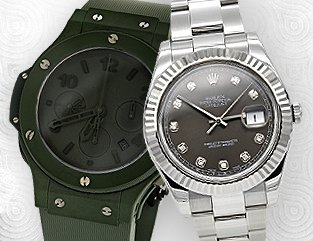 The savings on our men's and ladies diamond watches really stand out! 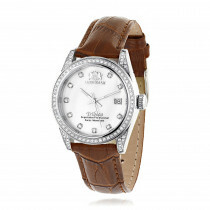 Most diamond watches feature additional different color leather watch bands to fit your style. 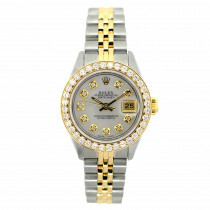 Each diamond watch we sell comes in original packaging with paperwork and one to five year warranty. 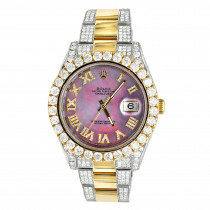 View our collection of WOMENS DIAMOND WATCHES or MENS DIAMOND WATCHES. Our Hip Hop Diamond Watches are real diamond watches, large and noticeable collection of both women's and men's diamond watches. 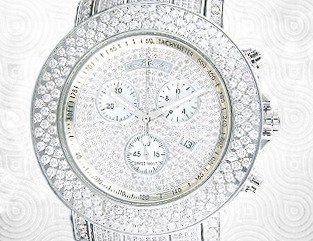 Over 200 real diamond hip hop watches presented from fully iced out ones to oversized watches, starting at just around $100 going to over $20,000 for a premium diamond watch with VS diamonds. You and your significant other have so much in common. You like the same music, enjoy the same shows, and share a love of luxury and sophistication. Browse our selection of luxury wrist watches from top watch brands including Rolex, Cartier, Audemars Piguet Watches, Breitling and more! With diamonds and without, your pick! 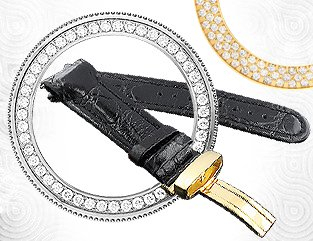 Looking for a watch band or a diamond bezel? Click here to find both leather and metal bands as well as replacement watch bezel options. Gifted my dad this diamond Rolex watch for his 60th last weekend. I personally love the contrast between the stainless steel and rose gold. He loves the diamonds!